The ThriveTime Show’s best business conferences are here to get you out of the rat race and living your best life possible. We want to teach you the proven step-by-step processes and systems that are much needed in order to start and grow your own successful business from two men who have grown 13 multimillion dollar businesses for less money than it would cost you to hire one $8.25 per hour employee. That’s right you can hire your very own business coach for less money than hiring one employee at that hour the great. These business coaches are an extension of your company and will help you execute your branding, marketing, customer service, sales, human resources, management and accounting practices. This is a game changer and will drastically change your business forever. We’ve had many past attendees of our business conferences exclaim how satisfied they were with the information they received and how by following these steps and procedures they have grown tremendously. The ThriveTime Show’s best business conferences were created by the former United States small business administration entrepreneur of the year, clay Clark and his partner, successful optometrist turned business tycoon, Dr. Robert Zoellner. Together these two men have created their own multimillion dollar businesses and will give you the exact systems and processes that they themselves have used to achieve time and financial freedom. Many entrepreneurs will never have the time of day to accomplish all they need to. This is just the nature of the beast. We want to get you out of the victimhood mentality and into the millionaire mindset and properly manage your time so you can allocate your resources to what really matters in your business. This is a school without the BS, are you ready to experience the two day intensive best business conferences here at the ThriveTime Show? If so please sign up today as spots are extremely limited. We purposely limit the number of attendees to give everyone the opportunity to have all of their questions fielded. We also want to give one-on-one help in many groups. If you’re looking to master your search engine optimization skills, then you have come to the right place, my friend. We will provide tools to help you start and grow your business, no matter at what stage your business in. It’s helped companies that are only a few days old to companies that are 40+ years old. This is not like any other business conferences you have ever attended before. While many business conferences focused on motivational speakers and up sells. We focus on real practical action steps that are guaranteed to grow your business exponentially. You don’t have to be a genius to be able to understand these processes, you do have to be committed and dedicated though in order to reap the benefits of these systems. We will break up the day with 45 minute seminars and speakers with a 15 minute break in between. Will have hands-on training and a question and answers portion. We hope to see you April 5 and April 6 here at the ThriveTime Show headquarters. To secure your tickets today please visit our website at www.thrivetimeshow.com or give us a call at (855) 955-7469. Coming up on April 5th and 6th here at the ThriveTime Show headquarters we’re hosting our next best business conferences and we once you there. This is a life-changing and we can get your business back on track. They intensive two-day crash course on business 101. We’ll help you learn the skills and procedures that you can implement in your very own business to grow exponentially. We’ve had many people increase sales by 10 times after attending one of our conferences. And trust me, this is not anomaly we have had multiple companies experienced this type of growth. Her best business conferences we will teach you the step-by-step processes and systems needed to start and grow a successful business from two men who have grown 13 multimillion dollar business for less money than it costs you to hire one $8.25 per hour employee. This is not too good to be true, for the price of hiring one full-time employee at $8.25 per hour you can hire your very own ThriveTime Show business coach. Our business coaches are extremely qualified and offer expert guidance and helped to receive miraculous receipts. 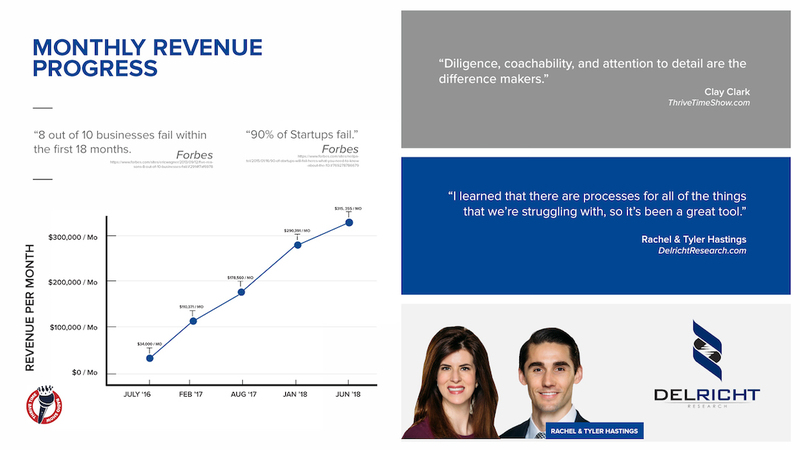 Many coaches have experienced growth upwards of 30% after beginning work with companies. Altogether our coaches have helped more than 1700 business owners get a foothold on their company and propel them into the upper echelon of business. If for any reason you are not satisfied after attending the ThriveTime Show’s best business conferences we will refund the cost of your tickets. There is one caveat though, you must attend both days of the conference and personally speak to one of our customer service representatives in order to receive your refund. This one-of-a-kind program was created by the former United States small business administration entrepreneur of the year, clay Clark and successful optometrist turned tycoon, Dr. Robert Zoellner. If you are a vocal Tulsa and I guarantee you have heard these two names before as they are synonymous with success. Here at the ThriveTime Show’s business conferences we will give you a complimentary Clay Clark Boom book. This is a business 101 resource book, full of notable quotable and processes that can be applied and implemented in your very own businesses. Will also give you online access to hundreds if not thousands of resources to give you every advantage over the competition. We hope to see you on April 5th and April 6th here at our headquarters. We want to help you reduce your working hours and gain financial and time freedom your life. We’ll also provide much-needed tools to help kickstart your business. Our business conference applied to all industries and there isn’t a business or company that we cannot help. You can always be better and become more productive. If you’d like more information on how to get signed up for this one-of-a-kind event I would point you in the direction of the ThriveTime Show website. That can be found at www.thrivetimeshow.com or feel free to give us a call at your earliest convenience at (855) 955-7469.